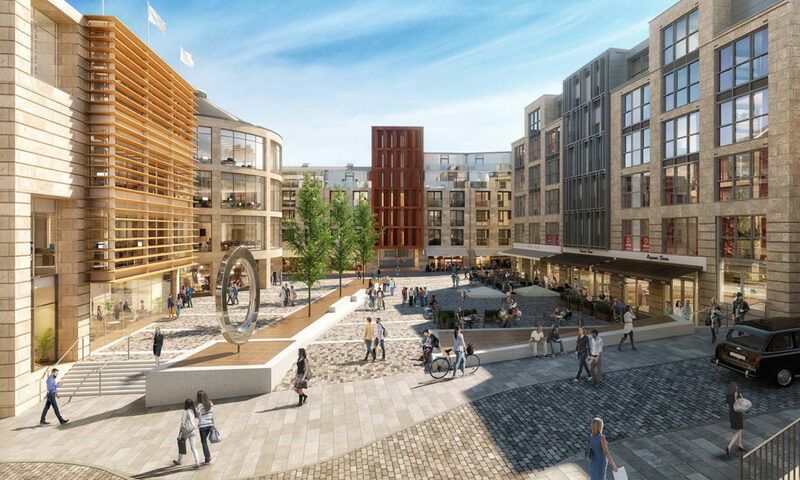 Award winning prime site property developer, Queensberry Properties Ltd (QPL) has commenced construction at ‘Waverley Square’, the first residential development within the groundbreaking 7.5 acre mixed-use New Waverley project located in the heart of Edinburgh’s historic old town. Waverley Square includes 66 new homes for private sale in a considered mix of 1, 2 and 3-bedroom apartments, mews houses and maisonettes, designed in a quadrangular formation around a central courtyard. Award-winning architectural practice Allan Murray Associates have incorporated high-quality materials to the elevational treatments, including natural sandstone, timber and metal cladding, brick, render and glass throughout, which combine superbly to create a striking exterior which sits beautifully within its famous surroundings. The first properties are anticipated to be complete by the autumn of 2020. All have been designed exclusively for this cutting edge development, with residents also benefiting from 59 underground car parking spaces.